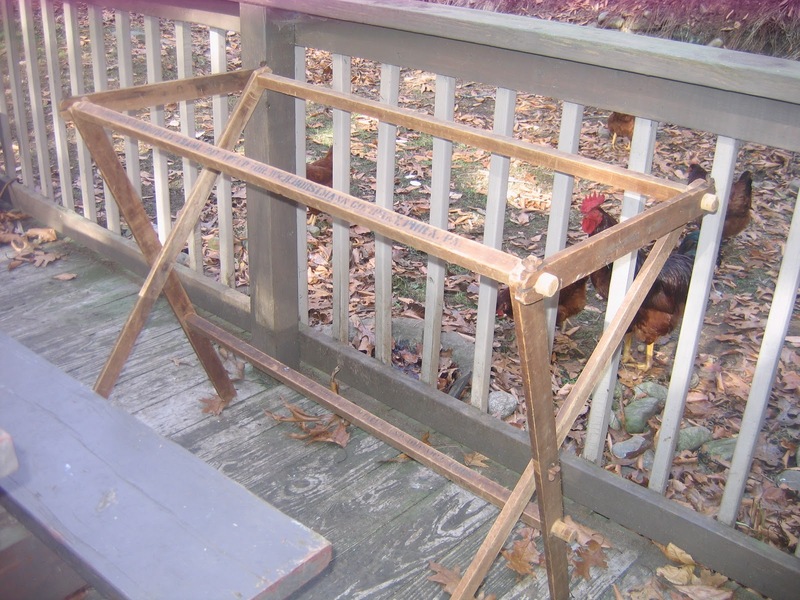 Check out this very cool dying rack that my friend Donna found on the side of the road that someone was throwing out. It appears to be very old and has Columbia Yarn Co printed on it. It is held together at the bottom with old fashioned cotter pins and the side are held together with a clamp like system. I looked it up on line and did some searches but nothing came up. If anyone can date it for me let me know. 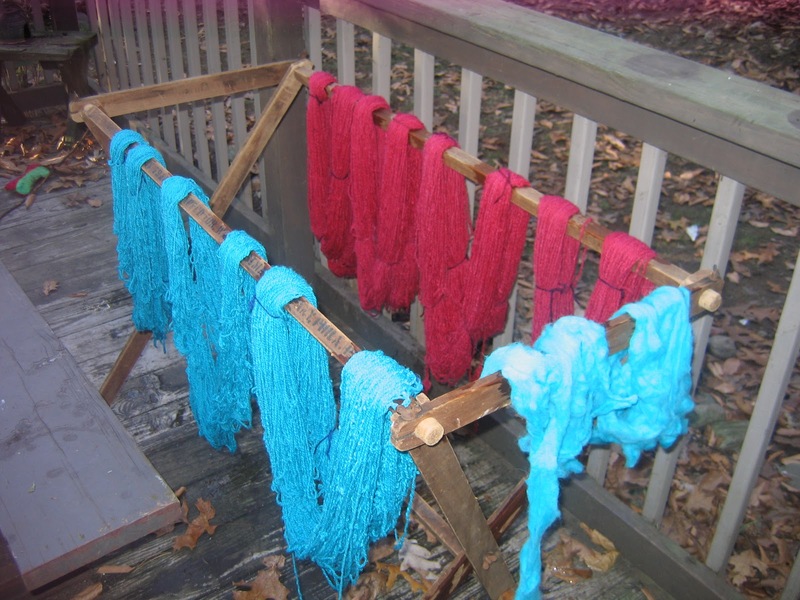 So today was a beautiful fall day and I got the dye pots out and went to work dying some white Alpaca that I had spun and double plyed. I reached into the dye box and pulled out turquoise and cherry red. I also dyed some white wool for felting. The new drying rack sure did come in handy! 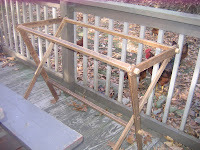 I don't think it is a drying rack.I may be wrong but I think it has to do with needle work.The work is rolled on the wood --- as the work is done it is rolled onto the other wood piece. I may be wrong.You might ask an antique dealer. Judy thanks for that info! At least I have na idea of what it is! Maybe a quilt frame? I have something similar that I use for hooking large rugs. Judy j is right it is for needle work. Scarletts mom gave me one just like it and it had the needle work still on it. Ps your dyeing looks great!!! Victorian Farm Holiday Open House coming soon!